Peasant Pasts is an innovative, interdisciplinary approach to writing histories of peasant politics, nationalism, and colonialism. Vinayak Chaturvedi's analysis provides an important intervention in the social and cultural history of India by examining the nature of peasant discourses and practices during the nineteenth and twentieth centuries. Through rigorous archival study and fieldwork, Chaturvedi shows that peasants in Gujarat were active in the production and circulation of political ideas, establishing critiques of the state and society while promoting complex understandings of political community. By turning to the heartland of M.K. Gandhi's support, Chaturvedi shows that the vast majority of peasants were opposed to nationalism in the early decades of the twentieth century. He argues that nationalists in Gujarat established power through the use of coercion and violence, as they imagined a nation in which they could dominate social relations. Chaturvedi suggests that this littletold story is necessary to understand not only anticolonial nationalism but the direction of postcolonial nationalism as well. 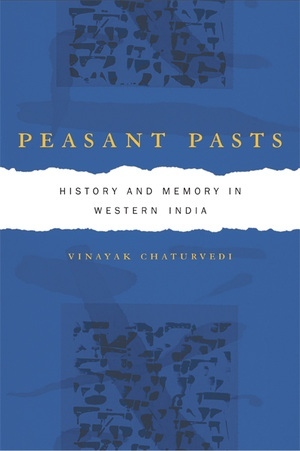 Vinayak Chaturvedi is Associate Professor in the Department of History at the University of California, Irvine, and editor of Mapping Subaltern Studies and the Postcolonial.